Online help for dieting is useful if you're looking for a way to get dieting support from the comfort of your own home. Online diets and dieting help is big business and can be helpful if you know the basic components of a healthy diet plan. A healthy diet plan consists of two basic items healthy eating habits and exercise. When you add will-power, goals, support, advice from your care provider, and a food journal to a basic diet plan you'll have a much higher chance of success. Comprehensive online plans will offer all of the above. Diet plans offering instant results. Fad diet types of plans. Diet plans that don't combine the basics (healthy diet and exercise) to achieve results. Diet plans that want you to fast, take pills, or drink magic liquids to achieve results. It's understandable if you're with a plan for months that you won't get your money back. However, there should always be an up front money-back time; in case this plan is not right for you. If you have a bad gut feeling about a diet site, odds are you're right. Look elsewhere. Can You Lose Ten Pounds in Three Days? 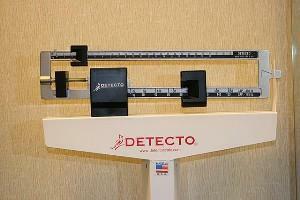 The very best thing to do is find comprehensive online help for dieting. A comprehensive plan will include the basics (healthy eating and exercise) and the extra perks mentioned above such as forums, food journals, goals, and more. When you get involved with a comprehensive plan you'll do less running around the internet to different websites. Why not have everything you need in one place? The easier a plan is the more likely you are to stick with it. This also gets you more bang for your buck. With that said, the following health plans are all comprehensive. Here's a quick rundown of three of the best internet diet plans. The first two you'll pay fees and the third is a free site. Prices for the first two are not listed as they can vary. Denise Austin's Fit Forever plan is great and she's one of the best fitness gurus around. This plan stays away from terms like "diet" making the plan a whole lifestyle changing experience rather than 'a diet.' Austin's plan includes real foods like chili, cookies, stew, tacos, pasta, veggies, and lots more items that you might not think would be on a 'diet'. Daily personalized exercise fitness plan available in beginner, intermediate, or advanced. Plans that focus on trouble spots (midsection, the lower body, upper body). Plan includes warm ups, cool downs, toning, and cardio workouts. Supplements for daily routines include walking plans, mini routines, monthly workout challenges, and 15-minute body blasts. Daily personalized healthy eating plan with recipes. Daily motivational messages, testimonials, and audio clips of Austin cheering you on. The Fit Forever! Journal, weight tracker, and forums, answers to your questions in the Ask Denise section, success stories from members, and personal advice from the Fit Forever! nutritionist. This is a very comprehensive plan and should be one of your first stops when looking. Weight Watchers online is a standard in the diet industry and now you can access their plan online. A bonus of the Weight Watchers plan is that they have a separate online plan built just for males. That's a huge perk since most online diet plans are aimed at women. This is a great way for men to feel more comfortable getting into shape. Breakfast, lunch, dinner, snacks, desert, treats, (sometimes even a beer) are all included. No deprivation here! Guidelines for creating your own meal plans. Choose from the Flex Plan that incorporates the traditional weight watchers point plan or the Core Plan that focuses on eating wholesome foods. Both plan approaches come with recipes, tools, and tips for making the diet you choose work for you. A restaurant guide to help you plan healthy eating out. Extra perks include forums, daily tips, free expert nutrition and fitness advice. While not quite as comprehensive as Austin's plan, Weight Watchers has a large following and well-proven track record making it one of the best places to find online help for dieting. The Food Fit plan is currently one of the most comprehensive free plans on the internet. It's hard to tell if they charge you fees later on for an even more comprehensive plan, but overall it looks like a smart and healthy site, even offering a diabetic diet plan. The plan follows a less diet based, more lifestyle changing theme (which is great). The plan was designed with the University of California Davis Medical Center. It looks easy to follow and members on the site report success. Not as comprehensive as the above two but a good option if your funds are low. The plan offers healthy tips for eating, exercise, lifestyle, meal planning, and all the basic information you'd expect from even a paid site. Other perks include recipes sent to your email, newsletters to keep you up to date on added features, weekend supper newsletters, seasonal encouragement and a thriving forum. Check out all of the above plans, and any others carefully before signing up, to make sure that it fits your needs. Videos of different exercises so that you're sure to do them correctly. Ideas for planning a good workout routine. Numerous articles on health, exercise, and well-being.